The Star Control series has mostly faded from public memory, a two-decade gap between games will do that, but there’s a good chance you’re familiar with some of its offspring. 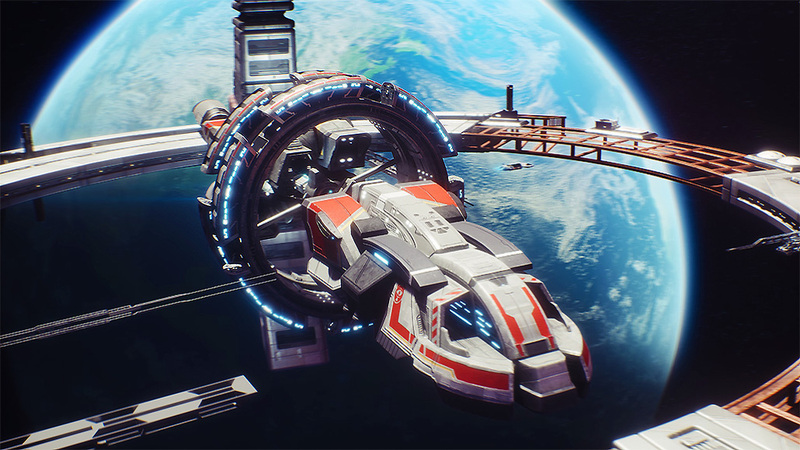 Strands of Star Control DNA can be found in a number of modern spacefaring adventures, particularly Mass Effect, and now the series is returning to (hopefully) influence a new generation of starry-eyed successors. Star Control: Origins’ galactic playground contains hundreds of star systems and well over 1000 planets, moons, and other celestial objects to scout out, which is pretty darn impressive considering the game isn’t procedurally generated like No Man’s Sky and other recent space exploration titles. The game does cut a few corners – a lot of planets are rather samey and most members of each alien race look identical — but you’ll still stumble upon surprising little touches in nearly every corner of this sprawling galaxy. Just don’t set off in search of any particularly impressive visuals – Origins’ cartoony look is charming enough, but its simplistic depiction of space travel and crude planetary surfaces don’t wow. As mentioned, Star Control: Origins is (partially for legal reasons) a full reboot that takes place in an alternate universe populated by a new lineup of alien species. That may disappoint some of the crusty old-school fans, but it’s good news for new players looking to step aboard. Origins’ story begins in 2088 shortly after the launch of the Star Control project, which was created to track down the Lexites, a group of augmented humans who decided to take to the stars and leave the rest of us chumps behind. While on the search for clues about the Lexites, you accidentally make first contact with an alien species, who reveal humanity is about to be obliterated. Well, shoot. See, it turns out Earth, and the rest of this corner of the galaxy, belong to charming space tyrants, the Scryve. They don’t know we humans exist yet, but once we’re found out, we’re as good as dust, as the Scryve have apparently decided their empire doesn’t need any new citizens. And so, it’s up to you to find alien allies willing to help humanity out, while still keeping an eye out for the Lexites, which isn’t an easy task as we’re the uncool new kids on the space block and going up against the Scryve is basically suicide. Star Control: Origins’ writing brings to mind sci-fi comedy classics like Hitchhikers Guide to the Galaxy and Red Dwarf, which depict space as a place that’s vast, confusing, and potentially terrifying, but, most of the time, just kind of silly. As you explore you’ll encounter a large cast of peculiar aliens species, including Earth-entertainment-obsessed slugs, a bureaucratic coral reef, and adorable lemmings who worship a living god named Jeff (just to name a few). Playing Origins feels a bit like navigating a very large, complex high school cafeteria – all the alien races have their cliques and opinions of one another, and it’s up to you to Mean Girl your way to the top of the galactic hierarchy. You develop your relationships with Origins’ aliens by working through old-school dialogue trees and quirky adventure-game-style quests. For example, one of the first big obstacles you run up against are the Drenkend, the genetically-engineered cannon fodder of the Scryve Empire who “win” battles by exploding their own ships and burying their enemies in their dead. The Drenkend are convinced the Scryve want them to destroy any alien with more or less than three ears, but the Drenkend themselves only have two ears, so they all wear artificial third ears so they don’t have to annihilate themselves. Ah, but it turns out this ears nonsense was all a scheme to sell fake ears concocted by a race of con artist aliens called the Menkmack, and, well…I think you’re probably starting to get the picture. Origins’ questlines can be a little (or a lot) absurd, but anybody with Monkey Island or Sam & Max experience know a certain amount of tortured logic is part of the fun in these type of games. And you don’t always have to take the most convoluted route. 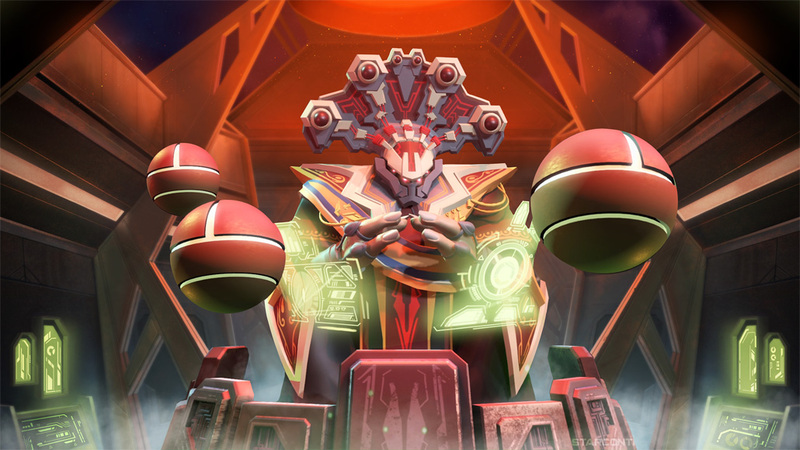 Star Control: Origins provides players with plenty of freedom to chart their own course – you can beeline across the galaxy and take on the game’s big baddies right away if you want, or you can scour every star system you come across. You can try to be Mr. Nice Guy, or you can cut a swath of destruction across the stars. Seemingly innocuous choices and random alien tips will often lead you down unforeseen paths or open up complex new quests. 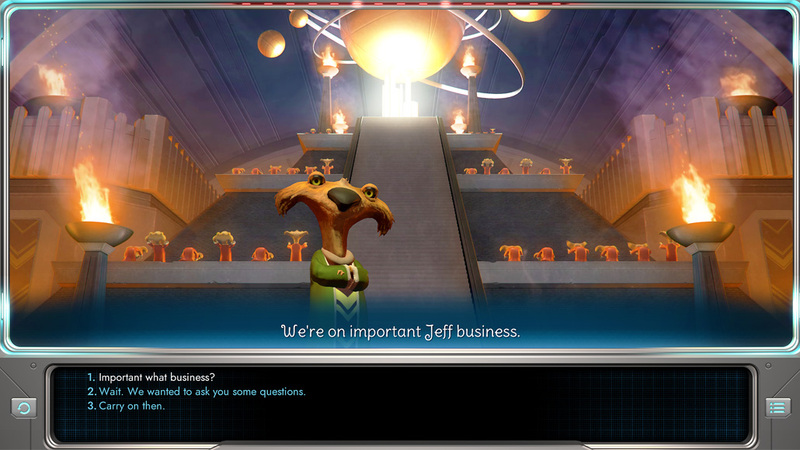 But don’t worry, Star Control: Origins isn’t all dialogue trees – there’s also plenty of exploration, space battles, and other Trekkie goodness. After exploring our Solar System for a bit, players gain the ability to enter hyperspace and travel to other star systems. The scope of Origins’ galaxy is bracing, but the game doesn’t provide enough tools to properly navigate it. The game’s overly-simple map lacks useful information about its countless star systems – each one has a name, which means nothing without context, but that’s about it. Talking to aliens is the only way to find out where to go next. There’s also no way to scan or save information about the places you’ve visited. There is a simple marker system that lets you manually label important star systems, but, again, there are hundreds of the darn things, and your collection of labels eventually turns into a mess. Your one savior is the Captain’s Log, which creates a handy note whenever an alien mentions a place you should probably visit. You can later click on said note and your ship will automatically fly to the location in question. Admittedly, that’s a smart feature, but space travel can still start to feel like a drag, particularly when combined with the game’s “talk to this guy, now talk to that guy over there, now collect this” quests. Imagine a point ‘n’ click adventure game (which is what Star Control is at its heart) where you have to slooowly drive between every scene in a vehicle with very bad gas mileage. Yes, this is one of those games where you have to constantly keep an eye on your fuel gauge. Run out, and you’ll be stranded and have to deal with an annoying fan-fiction-spouting tow truck (er, tow ship) driver. Everything from gas, to ship upgrades, to extra fighters for your fleet cost money, which you make by gathering resources from planets. Unfortunately, this is the least interesting part of the game – planets are relatively varied, but they’re also small and mostly devoid of interesting landmarks or threats. 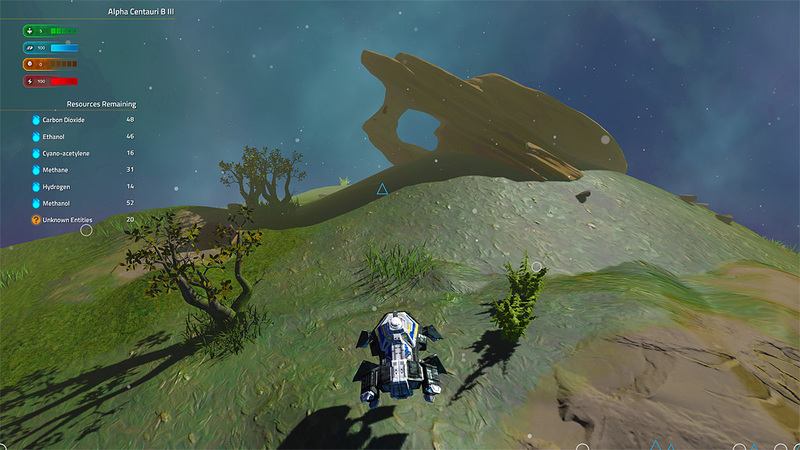 You pick a planet at random, land, mindlessly fly around picking up resources for five minutes, then blast off. Rinse and repeat a couple hundred times. It doesn’t help that the game rarely requires you to hunt down specific resources – the only difference between, say, gold and silicon is that one is worth more than the other. It feels like Origins developers wanted to do a crafting system, but ultimately decided it would overcomplicate the game. Maybe it would have, but, as is, resource gathering feels mindless. 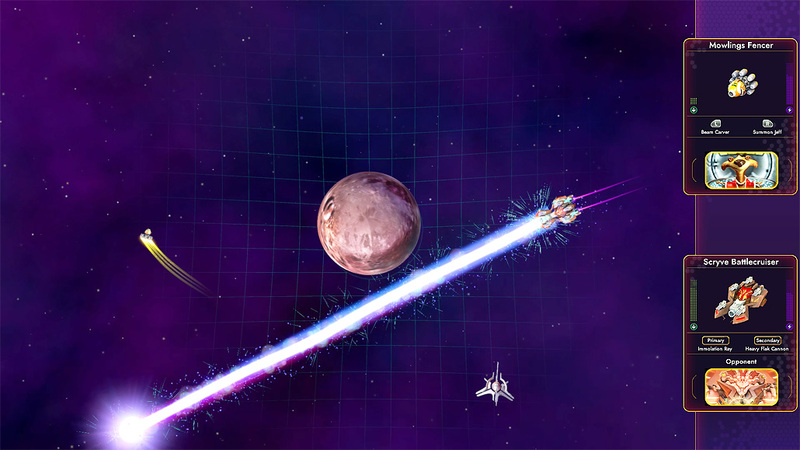 Star Control: Origins’ ship battles are similarly oversimplified. Even if you and your enemy control a fleet of multiple fighters, battles are divided up into a series of one-on-one elimination matches. The action plays out via an overhead view, and ships are tiny, floaty, and difficult to wrangle. There are a wide range of ships, including traditional starfighters and more out-there vessels, like the MuKay’s squid-like ships or the Xraki, who fight with weaponized black holes. Unfortunately, Origins’ ships are also fairly unbalanced, and all too often battles devolve into a frustrating do-si-do, with you and your opponent endlessly circling each other until one of you messes up and flies into an asteroid field. Actually, come to think of it, Origins’ combat kind of feels like an updated version of Asteroids, which isn’t really a compliment in 2018. If you keep your eye on the prize, you can wrap up Star Control: Origins’ main plot in around 25 hours, give or take, although more thorough explorers could potentially mess around a lot longer. The game’s emphasis on player choice makes for plenty of replayability, too. In addition to the main story mode, Origins also lets you engage in online Fleet Battles, and will eventually let players craft their own ships, buildings, worlds, and even new adventures (right now only building and ship crafting is available). If you’re into the world of Star Control: Origins, the sky is pretty much the limit. 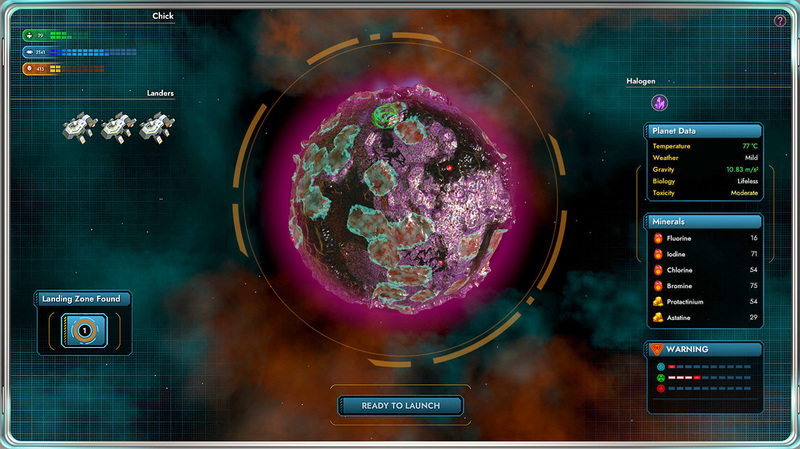 This review was based on a copy of Star Control: Origins provided by publisher Stardock Entertainment. You can purchase the game at a discount on Green Man Gaming. Star Control: Origins boasts some of the sharpest writing I’ve come across in a while. It made me laugh out loud on multiple occasions, which is a rare thing. Unfortunately, this space adventure is at its worst when it’s at its spaciest. A lack of navigational tools, dull resource collecting, and oversimplified space battles all conspire to knock the game down a peg. Star Control: Origins serves up a lively galaxy worth exploring, but sometimes the commute can be a killer.